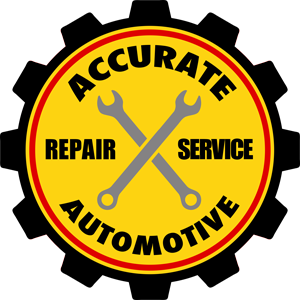 Accurate Automotive is a full service auto repair and maintenance shop serving the Iowa City area with many years of consistent and friendly service. Our mechanics are experts in car repair and have experience with both foreign and domestic models. We are a full-service "Auto Service Plus" Car Care Center and look forward to helping you find the right auto repair solution. Accurate Automotive is proud to offer Cooper Tires and Amsoil Motor Oil. We feel that these brands represent the same thing that we do - high quality and professional service. We have many other tire brands available. We are a preferred installer for www.tirerack.com. Accurate Automotive opened in June of 2000 and we have been working to improve our commitment to our customers ever since. It all started when I found out that Coralville Amoco (formerly Jerry's Standard) was going to be closing. The great auto repair shop's long time location on Hwy 6 in Coralville, Iowa was going away to make room for a Walgreen's drug store. We opened our doors for business within a month of finding out the Amoco was closing! The first couple of years in business we shared our new location - 1010 Orchard Street - with a radiator shop and worked within some pretty cramped quarters. After a couple of years of rubbing shoulders we finally had the opportunity to purchase the whole shop, which we did. We underwent several upgrades over the past years to become a very functional full service automotive repair shop. We have grown and added new members to our team. We keep our goals simple: if the customer is happy we are happy! Our business has grown the most through the referrals from our customers, which we are very thankful for. Our customers are our number one reason for our success. We take pride in establishing long-term relationships and lasting friendships built on confidence and trust. Through caring and sharing peoples' problems, challenges, hopes, dreams, and rewards, we at Accurate Automotive have been able to better serve others and successfully grow our business. We have always been committed to the professionalism of the industry and take pride in our work and continuously enroll in continuing education classes to stay current with the ever-changing automotive industry. We have 4 bays each with above ground hoists. We utilize several modern computer analyzing scan tools, industry specific websites, and highly skilled and trained technicians to solve challenging electrical and drivability issues. We have loads of maintenance service equipment to keep modern cars on the road for as many miles as possible.